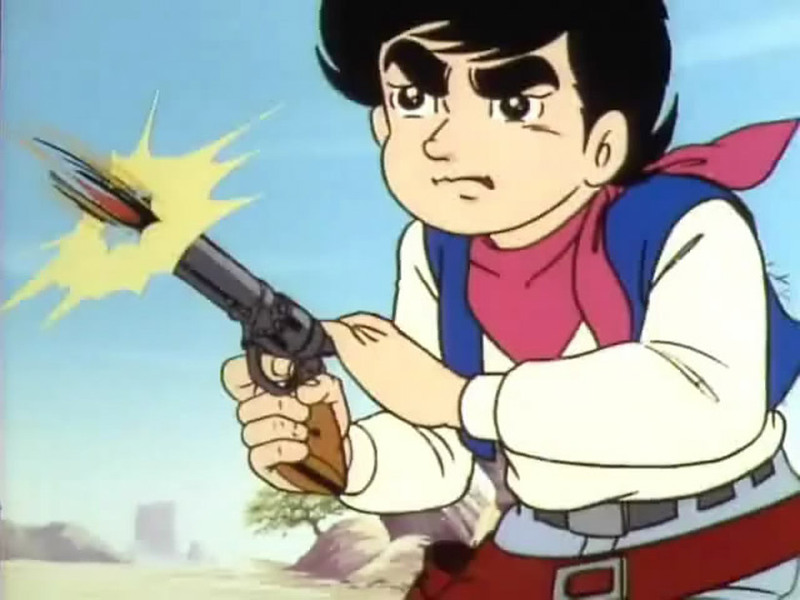 Isamu is a Japanese boy living in the wild west & is being trained in gunslinging by Wingate & his brothers Ned & Rett, the three of which are hardened outlaws who have no problems with killing people & setting saloons on fire (Isamu doesn't seem to know that his mentors are bad guys). 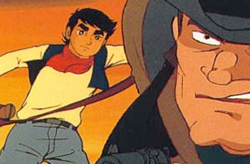 Unfortunately, while Isamu is extremely talented at gunplay he also values life and does not want to kill anyone or anything, which all comes to a head when Rett challenges Isamu to shoot a random passerby in the desert; when Isamu doesn't he gets beat up & the next morning he tells Isamu to kill the small puppy he had just befriended the previous day. Isamu once again says no, but when Rett is about to kill the puppy Isamu purposefully shoots the ground, scaring the puppy, but when the puppy's mother appears to get her pup Rett kills her... And this pisses of Isamu, who shoots the gun out of Rett's hand is looks ready to kill finally. 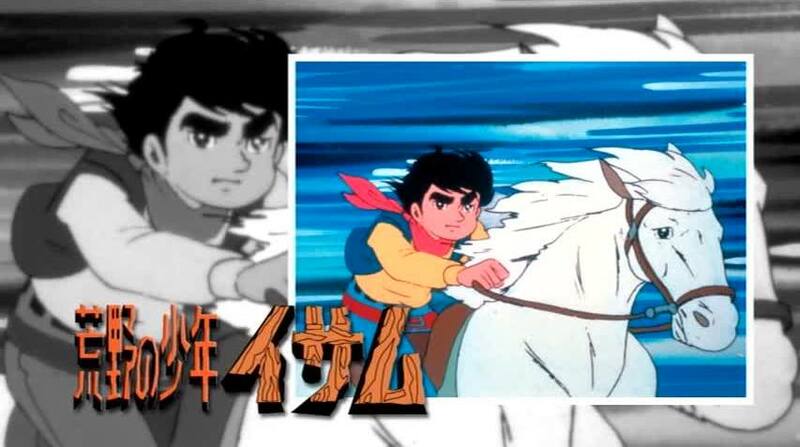 The episode ends here, and that's really annoying because, while the episode was definitely a slow burn at times, it really let you understand Isamu & absorb the wild west atmosphere. 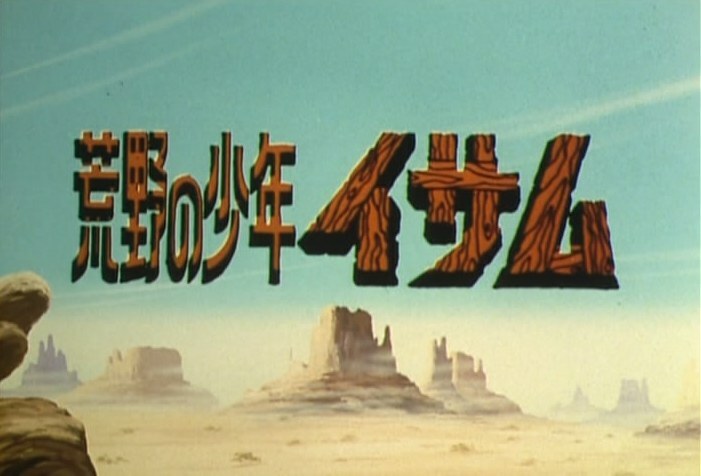 While there are western-influenced creations in anime & manga, such as Trigun, actual "western" anime & manga is rare, and that helps make Koya no Shonen Isamu a true original.